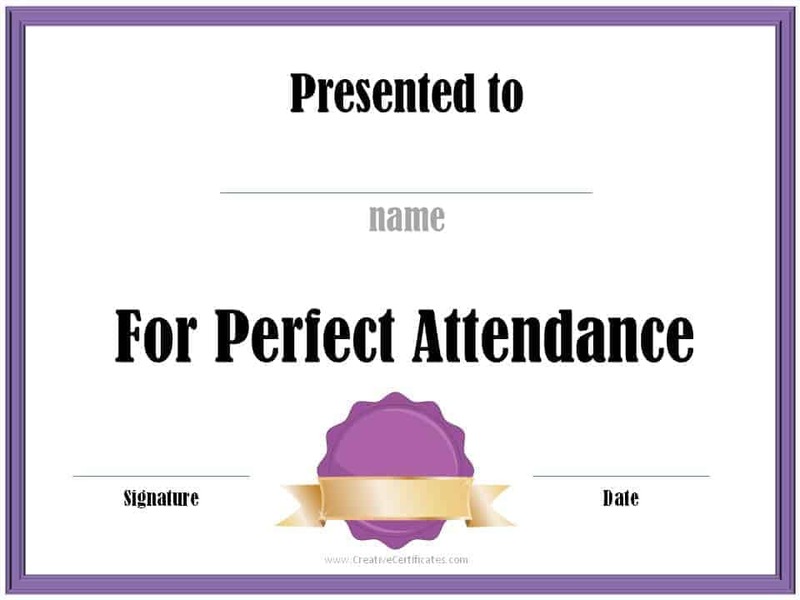 Perfect attendance award certificates that can be awarded to students for perfect attendance. 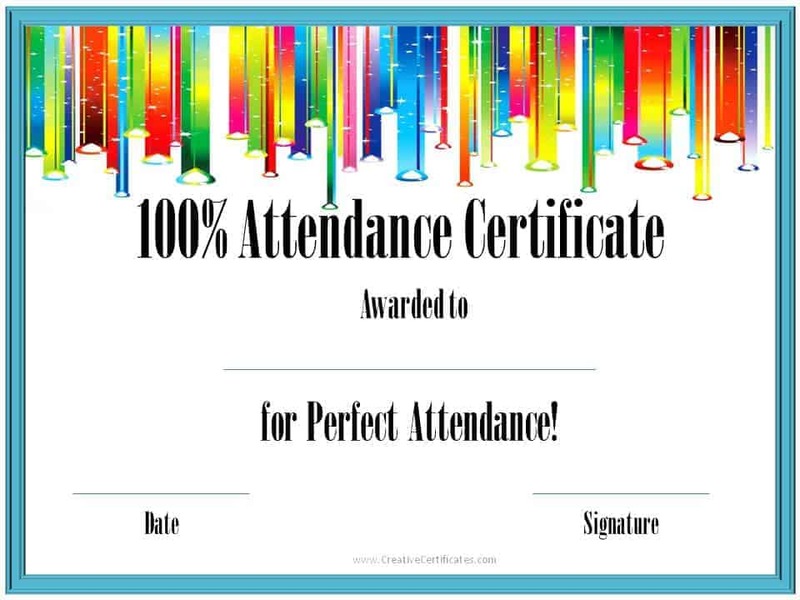 If you are looking for a certificate of attendance that does not mention “perfect attendance” then please check out our certificate of attendance templates. If you want to totally customize the text then try one of our certificate templates. How do you prepare these certificates? 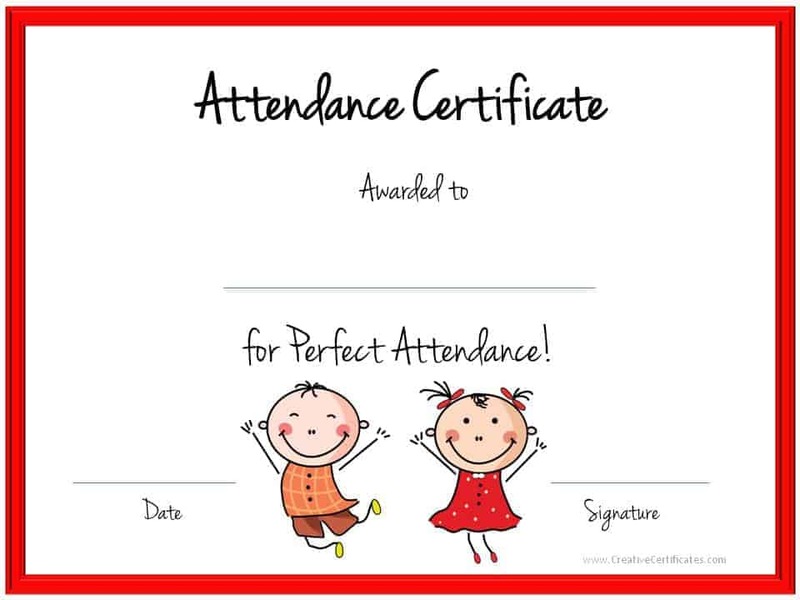 There are two ways to complete these attendance certificates. 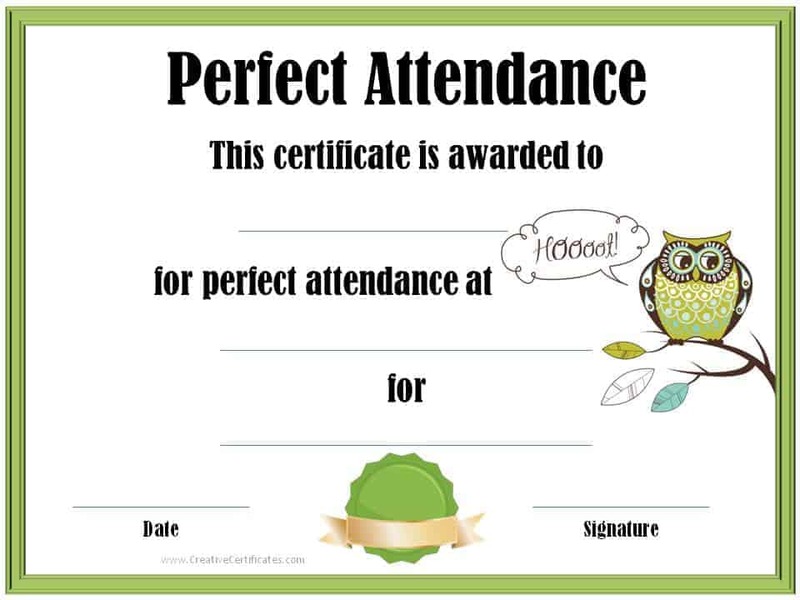 1) Handwritten Version – Click on the picture of the certificate you would like to use and print it. You can then add the details in your own handwriting. 2) Typed Version – You can also use our certificate maker to enter the details before you print. 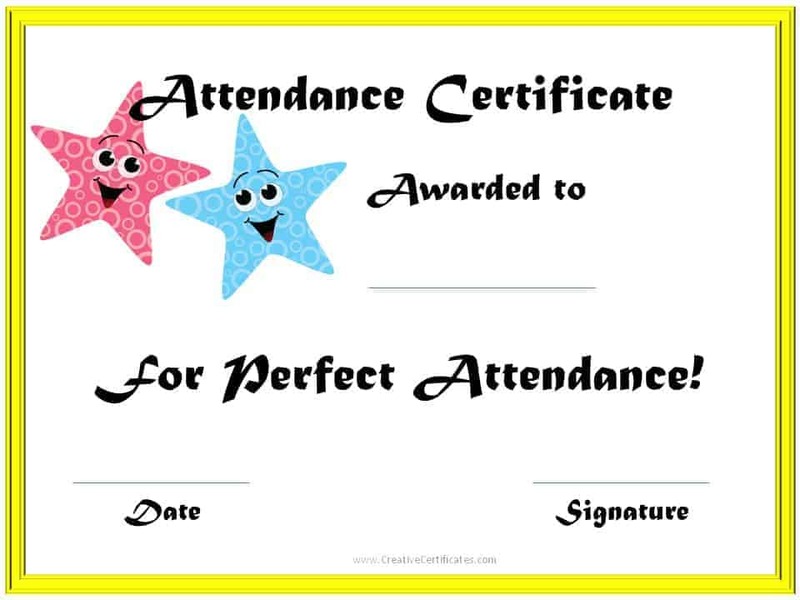 This will create a more professional looking certificate since it will be typed and not handwritten. In order to open the certificate maker just select the certificate that you want to use and click on the “customize” button next to it. Once the certificate maker opens you can type in the details and then either save the image on your PC or print it. Didn’t find what you were looking for? 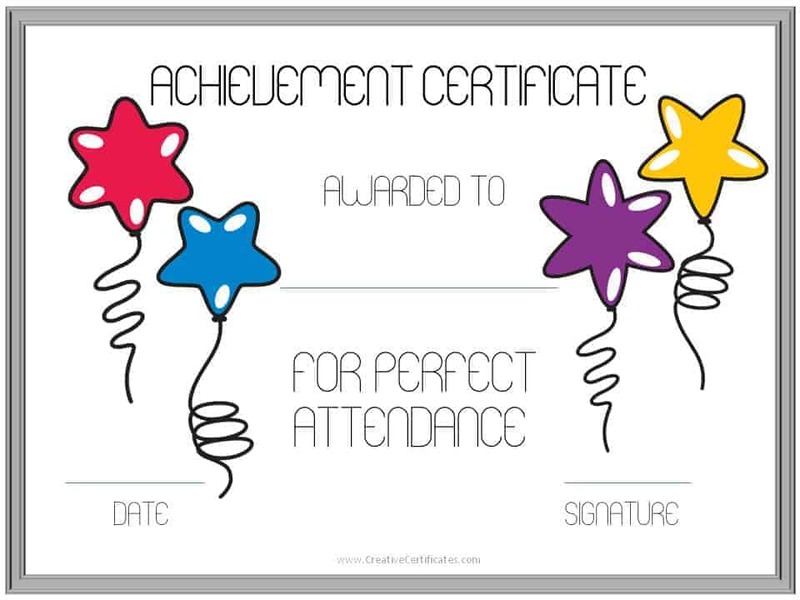 We also have hundreds of free certificate templates available. 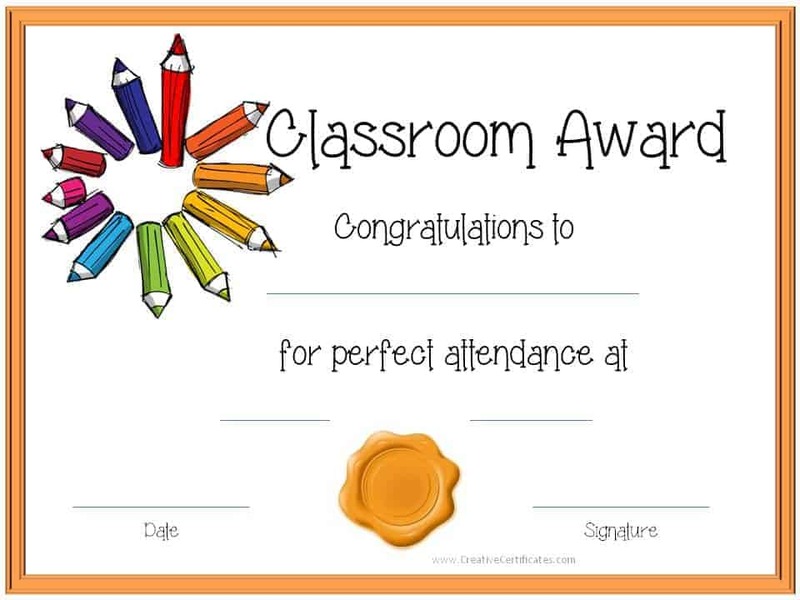 They can all be customized with our certificate maker.